Newcastle architects, Jane Darbyshire and David Kendall (JDDK) Ltd’s design and management of the £1.8m refurbishment and redevelopment of the Old Post Office on St Nicholas Street in the centre of Newcastle, is the latest project in a growing portfolio of Commercial building schemes that is expanding the award-winning practice’s reputation out of their traditional housing and health sectors. The Post Office project, for RIBA Enterprises, will see the Grade II listed building returned to its original unified state prior to it being split up in 1999, creating work space for some 210 staff as teams currently located across different parts of the building are brought together across two main floors. 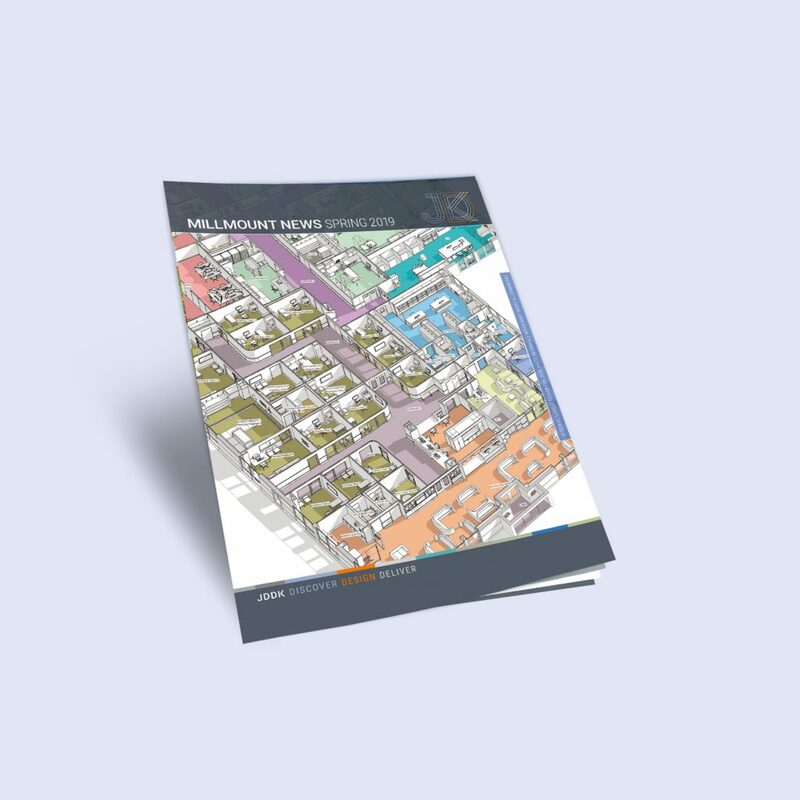 The entire project has also been designed and managed using Building Information Modelling (BIM) with whole team of designers and contractors able to collaborate far more easily, swapping information and highlighting potential problems in a digital format. One of their latest projects which has just received planning permission is for a corporate headquarters at Aykley Heads in Durham City. The three storey building has been designed to meet the highest possible BREEAM rating of “Outstanding” and an open office environment promoting collaborative working and flexibility for future use whilst still providing characterful accommodation for employees working there. The building’s design is oriented to offer views to the east and west through gable ends which maximise daylight into the office space and has a U shaped form with two areas of open plan offices on each floor split by a central core containing support services. A 375 sq m basement area includes a gym. Previous developments on the same site include the redevelopment of the Grade II listed Aykley Heads House into offices and a flagship restaurant, the new build offices Roseberry House and the award-winning Rivergreen Centre. 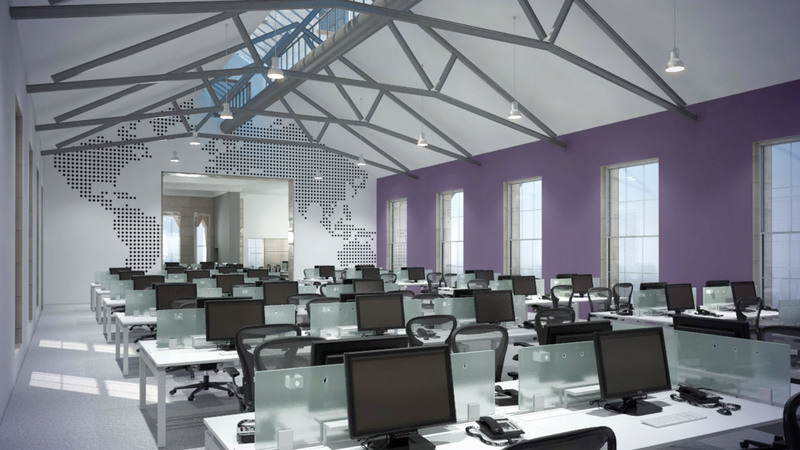 The flagship development, which won a National RICS Award, provides office accommodation for up to 300 people in spaces ranging in size from one and two person offices to open plan areas for up to 100 staff, with an additional conference suite for 200 people and catering facilities. Internally, Europe’s largest internal rammed earth wall provides a high thermal mass, which passively moderates the temperature and humidity, reducing daily fluctuations and thus reliance on additional heating and cooling systems. Due for completion on site later this year is JDDK’s commercial development at Stannington in the grounds of the former St Mary’s Hospital, providing highly serviced office and conference suites in a two storey facility of minimal environmental impact that is exemplar at European level in terms of design quality and sustainability. Elsewhere in the North East region, the practice’s commercial developments range from the Fourways 2 office accommodation in Amble for the Amble Development Trust, to conversions of former farm buildings at Horton Park for the Blagdon Estate for whom the practice also designed new build commercial premises at the nearby Milkhope Centre. A similar design was used for further light industrial units at Queen’s Meadow in Hartlepool, producing highly flexible spaces which were suitable for a wide variety of commercial sectors.